Ron Haberkorn served in Vietnam with enlisted with the U.S. Army, but his longest and biggest battle has been with lupus. 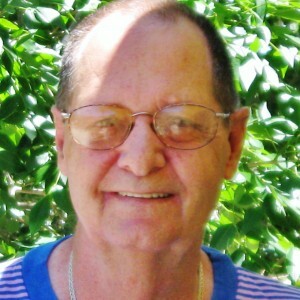 Lupus has taken a toll on Ron physically, emotionally and financially. Physically he has pericarditis, a condition in which the sac-like covering around the heart becomes inflamed. It hospitalized him this year. Emotionally, Ron feels the stressed building up. At one point in his life he took care of his elderly father. It tooks it’s toll with stress, which then manifested itself in physical symptoms, Ron said. “You get to a point where you have to tell everyone, ‘enough is enough.’ I get tired, stressed and need to slow down.” As much as he hates to do that, Ron said it’s necessary to keep his mental and physical health in check. Fortunately Ron has found an outlet for his stress. He’s an avid potter and has been creating pottery since his college days. He has a wheel and kilm at home where he makes plates, vases, cups, anything he can imagine. “When I’m throwing on the wheel, I just forget everything,” he said. Another passion of Ron’s is paleontology, which is what he studied at Colorado State University. He’s fortunate to live close to the Florissant Fossil Beds where he can go “shale splitting.” He delicately splits shale with a razor blade to discover what fossils might be hiding between the layers. One significant challenge for men with lupus is that it may be difficult to find a support system that includes other men with the disease. Statistics say women are nine times more likely to develop the disease than men. Also, it may be difficult for them to discuss a disease that so many people think occurs only in women. Some men who have had, or currently have lupus include journalist Charles Kuralt, musician Seal, and Tim Raines, who played baseball for the Montreal Expos and the Chicago White Sox.